I am not the best gift wrapper on this planet. Why? Because I lack patience and honestly, don’t enjoy it very much. 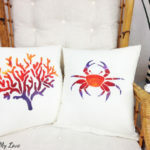 But, I am a clever person and I know my super power: Whenever I get to DIY something, my creative juices will start to flow and passion will take over. This way I can trick myself into doing things I don’t enjoy. 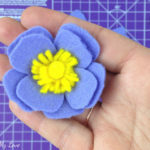 Simply add a crafty project into the mix and I am all game. 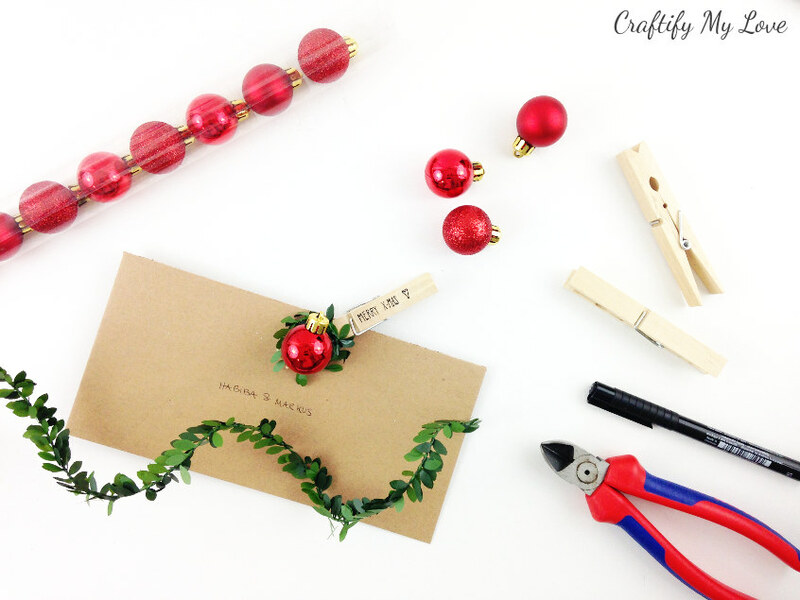 So, making these darling Upcycled DIY Gift Tags In Red & Green totally did the trick for this years Christmas gift wrapping you guys. Can you relate? 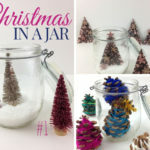 Did you know that I have teamed up with 50 plus bloggers to bring you lots of DIY Ideas and Recipes to make your holiday season merrier? There are 12 different topics posts in the series (but I only participate in 5 for sanity reasons, lol) and we have spread them out over a four-week period with three posts per week. Now is the time to subscribe! I’ve put a short video for you together. I hope you like it?! 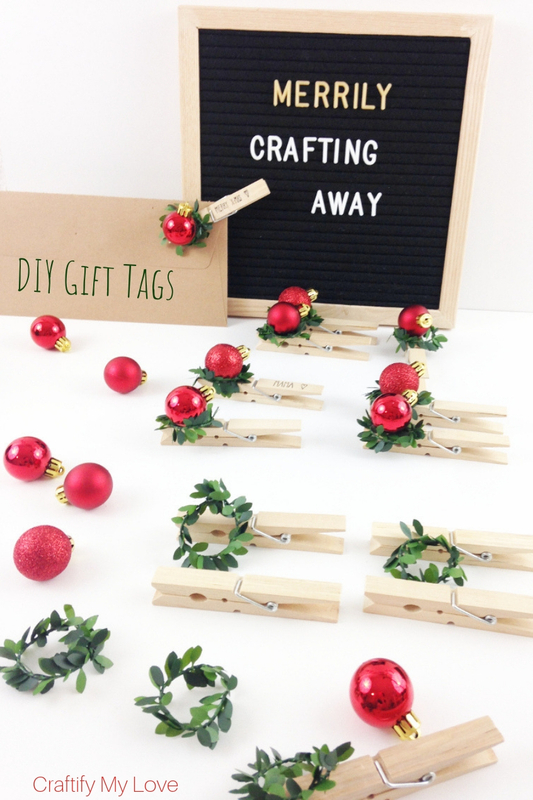 Now that you’ve made the number of gift tags you’ll need for Christmas, what to do with them, right? I don’t know about you, but in the last couple of weeks before Christmas, my Craft Room is a total and complete mess. I guess it will be time for another Craft-Room Clean-Up Challenge in January. I grabbed a big piece of cardboard I saved from an old calendar. 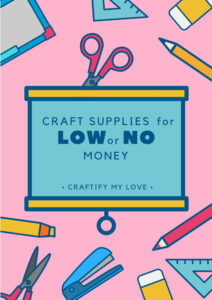 Did you know that you can save a lot of money on craft supplies? 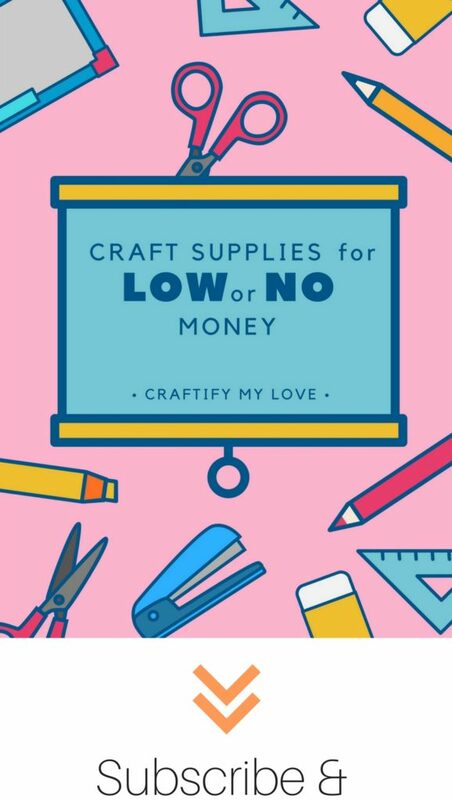 >> Read all about that in my FREE Guide to Craft Supplies for LOW or NO Money HERE – it’s a thank you for subscribing to my newsletter. 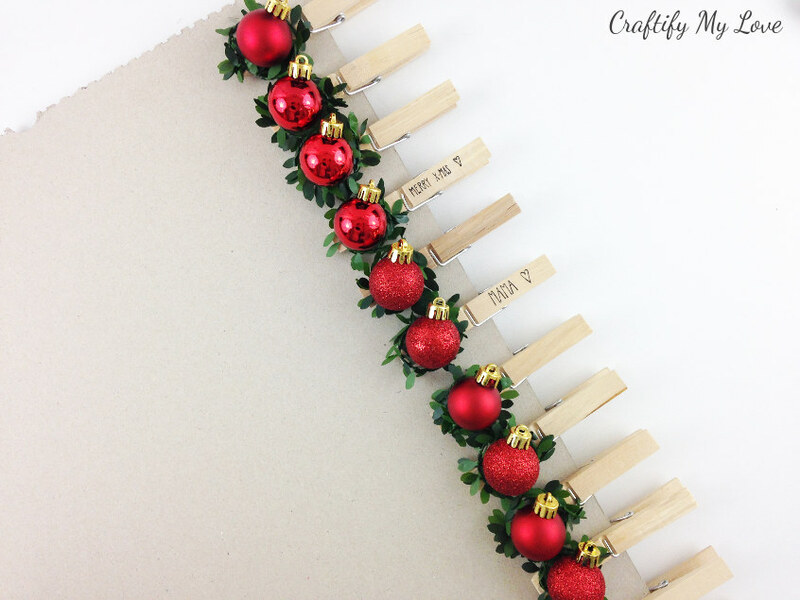 I simply pinned the gift tags to it and placed it in that corner of my Craft Room where I store cardboard and all my photo backdrops – DIYs and store-bought. Now they are ready to go when it’s time to wrap all those pretty presents. 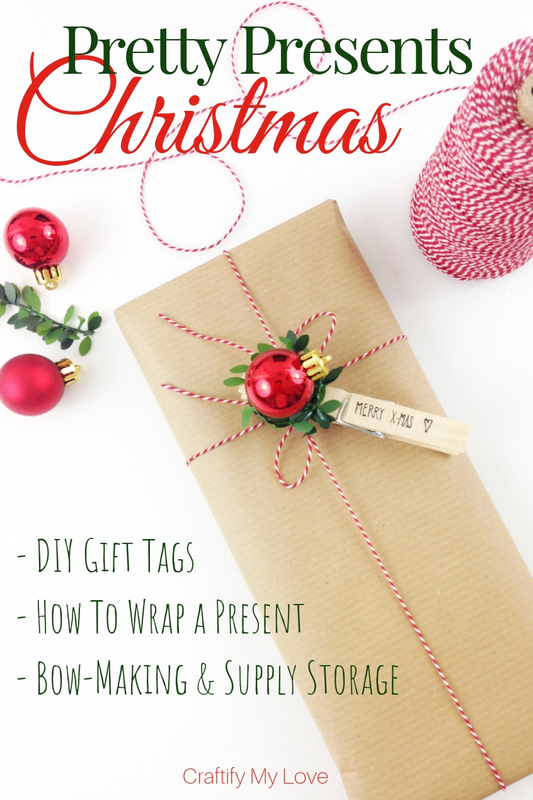 Click HERE if you want to learn how to DIY hand-printed gift wrapping paper. Do you know what I hope for? That the recipients of my DIY gift tags will keep them. That’s right! And re-use them to tag notes to their Memo Boards like this one I made from bent wire. 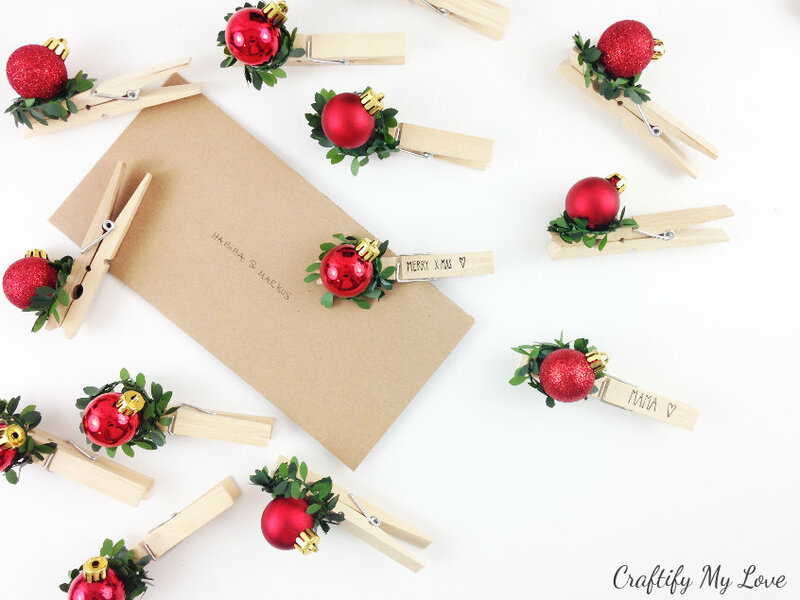 What would you be writing on your gift tags? The name, a cute message, or both? 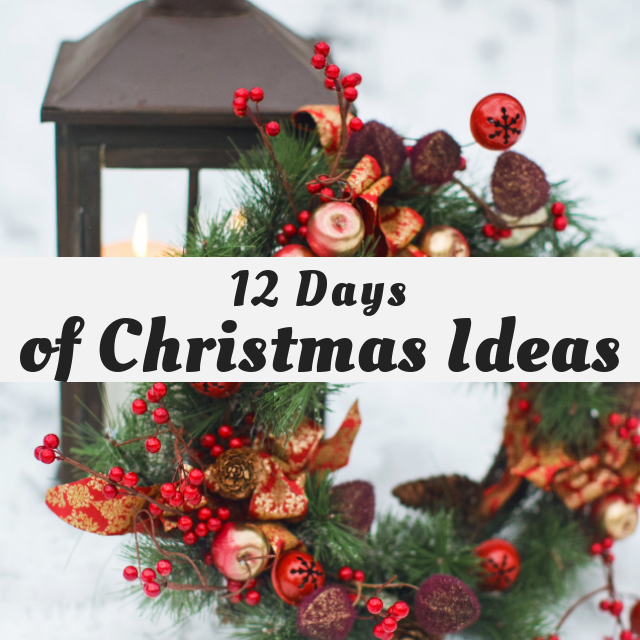 PPS: Scroll down for many more Pretty Gift Wrapping Ideas! I am using this garland a lot. Go get some to play around with it in your crafts. It’s so worth it. Thank you for taking the time to comment, Nikki. What a fun idea! This is so creative and they gift tags look great. Thank you, Beverly. They were also super fun and fast to make. Oh my goodness, your gift tags are ADORABLE!!!!! Such a cute idea! 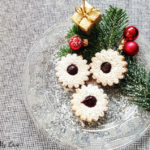 I love out of the ordinary ways to dress up gifts, this is perfect! Thank you, Kimberly. We share the love for this. These are super cute and you could use them for all sorts of other things. Like the top of a shower curtain. Love it. I thought so, too. Many ways to put them to use. These are the cutest gift tags Habiba!! 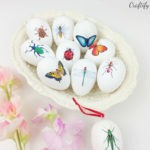 I love these so much, what a fun idea! Thank you, Katrin. I had a vague idea in mind and loved how they turned out, too. Those clothes pin gift tags just so pretty, Habiba! 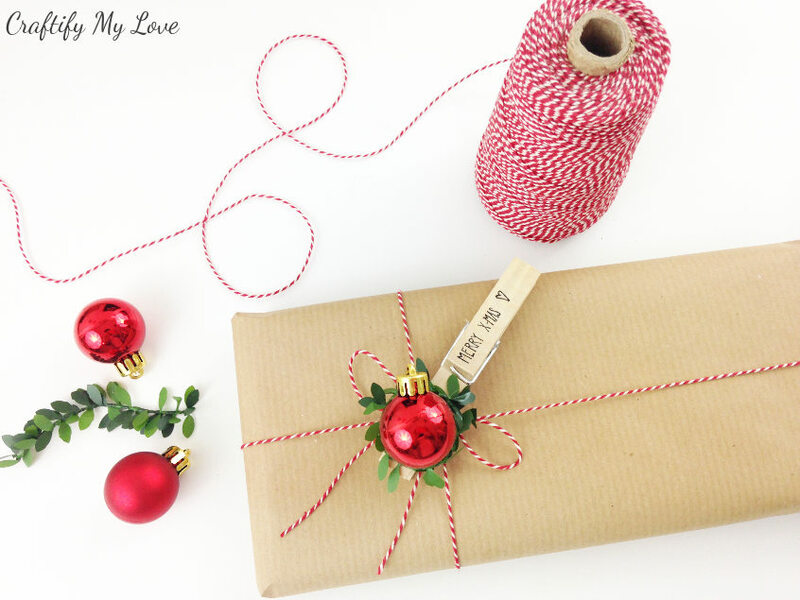 And I love the package wrapped in brown paper and tied with the red and white twine. All of them together make a very pretty gift. Thank you so much for taking the time to respond. I try to keep gift wrapping simple but I wanted to have a little embellishments. Hence the gift tags. So very sweet. 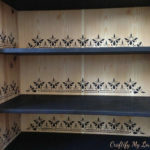 I love the idea of using clothespins because they are so unique and reusable. Hi Dru, I love crafting with them for the same reasons you mentioned. Thanks for your note. I’m not a big fan of wrapping either. 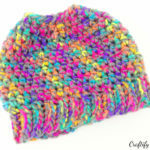 This is simple and so pretty! Ahhh, a kindred spirit. Bless you, Rachel for your nice comment. These are adorable! What a great and simple idea. Pinned. Thank you 😊 I appreciate your support.